How do you know that you are getting your nutrition’s worth by juicing a healthy food item? 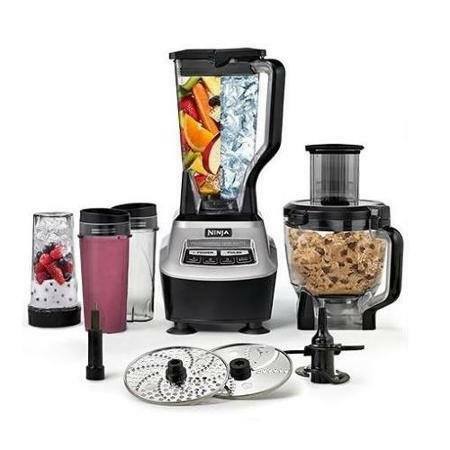 With your particular selection from a range of the best Ninja blender models, you will get fine, smooth, and delicious blends to go with all of the health potential packed right in. With enhancements in motor technology and specially crafted blades, you can rest assured that your next smoothie will be speedy as well as perfect. Do we make all this sound too good to be true? Let us delve into the possibilities and you can judge for yourself. We will begin with what a Ninja Blender is all about and continue with five of the top Ninja Blender models on the market and then progress into the multilayered health potential of this line of blenders. What Is A Ninja Blender ? Much more affordable than most of its competition, this blender brings innovation and practicality via its blades and 1000-watt motor, between which several thick chunks of food can be smoothly rendered. It is a bit tall, though, so storage in small spaces can pose an issue. The blender can contain all of 72 ounces. This means health drinks in one session for the whole family or a large group of friends. It is dishwasher-safe and free of BPAs. It can crush veggies for green smoothies, not to forget fruits and ice too. The Total Crushing Technology going into the blender’s make, as well as the 6 stainless-steel blades work their combined magic. An automatic shutoff feature improves on safety. You get to work with three distinct speeds and pulse functionality; together, they promote versatility. Made of durable metal and plastic, this ninja professional blender also boasts a non-slip base and enjoys an ergonomic handle; evolved comfort. A pouring spout and ease of handling have rendered the blender quite user-friendly. Superb blades made for level mixing. Let’s just say if this blender had a mouth, you will demand it shut up. It can be quite loud once it gets going. There is no small opening in the lid if you suddenly feel the need to add an ingredient. The whole lid needs to be removed. Some of these cons apply to the other Ninjas following on our list, so we will leave out repeats. These downsides are not all bad, just minor understandable inconveniences, is all. models five times as expensive. Containers are made after the single-serve fashion where you can use them to blend, detach, and take with you as portable containers for the road. Food processing is done quickly and deliciously via a 900-watt motor that more than covers the lack of measuring marks on the blender mugs. Its design is simple, user-friendly, and sleek. It is as easy as loading fruits or veggies into the blender cup, turning it over at the base, locking it in, and creating your smoothie. You get two cups (18 and 24 ounces) and two custom-fit lids to go with them. Pulse technology grants you direct control over smoothie thickness. It is recommended you go for this option on all Ninja blenders that have them. There is more to the Nutri Ninja Pro than meets the eye. It is gorgeous, practical, certainly health oriented, and sold at a surprisingly reasonable cost. Blender models like this Ninja Blender 1500, despite a handful of shortcomings, are the stuff dreams are made of. With all this going into one blender, most people cannot be blamed for thinking this is a juicer too. Technically, it is not. Strictly a blender (pulp present), its juicing (pulp absent) capabilities are alright though not excellent. Touted to be one of the most versatile and best Ninja blenders on the market, this one’s multi-blade system grants you the ability to chop, dice, slice, and smoothie your way to health, all on one kitchen counter. It can work at three distinct speed settings and follows the Ninja Blender pulse technology. The control panel is a breeze to clean and keep clean. It chops and blends but does not slice or shred, therefore it is not a food processor per se. Aside from its powerful motor and large pitcher capacity, you also have several options when it comes to blending. Not only is it a blender, it can also triple as a food processor and juicer. You can blend to your heart’s content. 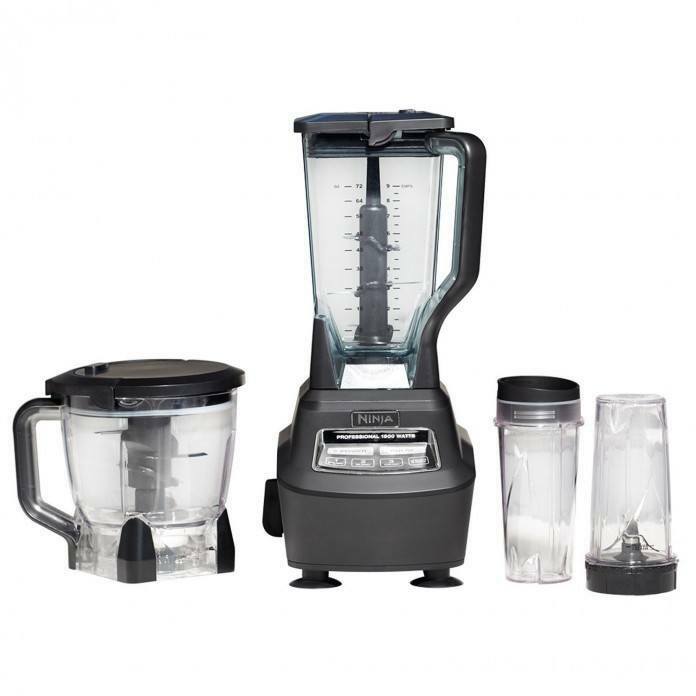 The variety and possibility that the Ninja Blender BL770 brings to your game is top notch. There are few ways you can be inconvenienced by it. The pitcher, being large capacity, can leave chunks unblended. The single cup, on the other hand, makes for even smoothie-quality blending. The brand that can blend has proven to do that and more ever since SharkNinja Operating LLC brainstormed it sometime in 2014. It is recent, we agree, a newbie on the block but Ninja has fought its way to the top with several different brands and blenders, juicers and food processors, all aimed at granting you convenience and health in good measure. Aside from that, they also specialize in cleaning solutions and household appliances. The founding company has been around for a while, three generations to be precise, and its current CEO Mark Rosen has taken to the family business with flair and sharp panache. One of the products to arrive out of such enthused creativity is the Ninja line of blenders, known for their speedy and shockingly efficient way to blend and process foods so you can make the most of your smoothies. It takes much less time than actually eating each individual veggie or fruit, to offer one blatant example. Aside from being innovative and inventive, the Ninjas bring sheer efficiency to your health lifestyle. Their designs are practical and supremely so. Not only can they crush ice and large food chunks, blending them seamlessly into a smoothie worth drinking but their Total Crushing Technology can, in some models, knead dough. All the Ninjas can crush ice to snow-like smoothness, and work with harder stuff like nuts and seeds to make nutty butters and blended seedlings. The brand’s quality and competitive pricing more than make up for any slight shortcomings like loud motors in some of their blender models and slightly uneven smoothie making because a pitcher is overly large (average 71 ounce containing capacity); this leaves chunks here and there, but that’s alright, we feel, no biggie. Famous names in nutrition and health like Julian Edelman and Rachel Beller carry the blender torch of significance. We couldn’t resist letting slip that the Ninja Coffee Bar (we are deviating for a second from our blender brands) has Sofia Vergara ready to declare ‘yes’ to the product that helps make superb home coffees. The wonderfully fresh technology going into these blenders is remarkable. 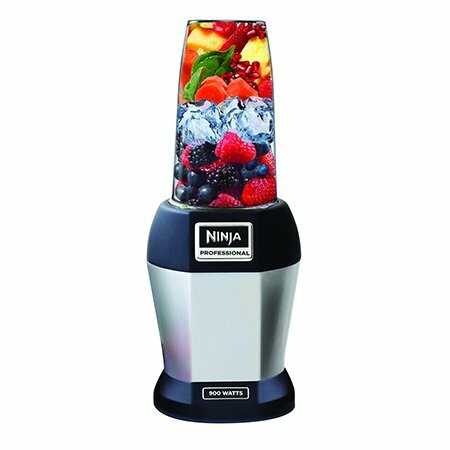 Ninja Auto-iQ coupled with Pro Extractor Blades make quick and smart work of any blending and processing task these products are faced with, for juicing included. All the nutrition value still remains after the job is done, in case you are sat there thinking the soft version is not as good as their solid originals; logic will beg to differ with you on this J. These blenders are easy to clean and keep clean. The best Ninja blenders are dishwasher-safe, for crying aloud, and come carrying no BPA plastics in their metal and ‘good plastic’ forms. You have yourself a low maintenance, high quality school of Ninjas that can blend the extra mile, so to speak, and get you every ounce of health in a ready-to-serve or ready-to-travel cup/jar/mug. If you desire a healthy lifestyle, you simply must have a Ninja at home. You want optimum results, obviously, from anything you invest time and money in. Even the best Ninja blender are no exception to that requirement. However, if you do not understand what Ninja blenders are capable of and how best to tap into their nutrient-smoothie crafting goodness, you will miss out on a world of perfection. It is not as obvious as most people think, though these blenders are doubtless user-friendly. It may seem bizarre that we are highlighting some of the techno-features on these tools in a segment dedicated to their proper usage. However, knowing how they ‘think, work, and play’ can help you ‘think, work, and play’ along with them. Ninja’s Auto-iQ Technology comes pre-programmed. This means it has all the smart settings you can use to make original blending recipes and more. This feature itself eliminates all guesswork and promotes smooth results. That iQ feature, we nearly forgot to mention, does away with shaking, mixing, and stirring. It performs all the needful during the blending process, leaving you with the crucial end-task of drinking a perfect blend of health. You select the program on the main control panel and go. Websites and your blender’s user manual will have the necessary step-by-step details to help with this. Next on our ‘understanding checklist’ is Ninja’s Total Crushing Technology. In conjunction with the specialized blades going into these blenders, the twain work at the peak of blending performance, resulting in perfection; be it juicing (no pulp), processing, or blending (with pulp). The creamiest drinks are made possible by this tech, and it has also proven to render ice into snow like textures; smooth indeed. Veggies, fruits, food chunks, ice, you name it, it takes seconds to crush and meld them into smooth consistent goodness. Another point of note are the motors, which are quite powerful. The revolutionary 2 horsepower potential in high-end Ninja blenders leaves little to chance and enhances versatility. You can make a lot more stuff using a whole lot more power. Some of these blenders are sleek while others are large-set. Once you have set up the right space on your kitchen counters and cabinets, the next step is understanding how they work. Some models come with blender jars that let you fill them up with wholesome goodies and then upturn them over the motor base. It does not stop there, you need to press down on the jar bottom for the motor to get the green signal. Ease up on the pressure and it stops. These models also lack start-stop buttons, obviously. While that last design can prove a bit inconveniencing, other benefits are to be had. Besides, some people do not mind the slight elbow grease needed to press and hold the jar while the blender does its thing. Then you have the classic versions with the full range of control options. You open the lid, drop the goodies, close the lid, cinch the lid-lock mechanism, and start blending. In some models, you have a pouring spout, which makes things exquisitely convenient. Other models lack it, so you may have to go a little slow on the pouring to avoid spillage. Most Ninja models do not have openings in the lid itself. This rules out your chances to add ingredients once the blending begins. If you wish to do just that, you need to stop the machine, open the lid, add the new stuff, close and lock the lid again, and repeat. No big hassle for some people but the really lazy ones will find this a boor J. No storing in freezers or cooking up really hot stuff. Extreme temperature can cause hairline spider-web like fracture patterns to appear on otherwise durable plastic. It can withstand drops and slight abuse but not overbearing heat and cold conditions. Let’s set one thing straight, there is no such thing as a ‘best’ blender; or the ‘best’ anything for that matter. This is because the so-called ‘best’ of something is what you personally find awesome. You know what they say about one person’s yummy-wummy being another person’s yucky-wucky. Read Ninja blender reviews with this thought in mind. No two people are alike and the same applies to their choices in products, including super-modern home appliances like Ninja Blenders. Look first to what you need by way of health. Okay, so you want healthy fruit smoothies. Do you also wish to make veggie blends? Are you keen to work with bread and dough using the latest in Ninja technology. This applies to various culinary needs and sundry dish preparations, not for you blend the dough and swallow it J. Do not at first read techno-talk like Smooth Boost, Total Crushing, Auto-iQ, and so on and be impressed. These are just original names for specific applications and functionalities that the Ninja line of blenders can accomplish. The question you need to ask is: Are those functionalities useful to me? Will they be for a long time to come? Will I get bored of them or find them of little use as time goes by? These are some of the simple things you need to pay attention to when shopping for Ninjas. Their powerful motors are cool but do you really need 2 horsepower (1500 watts) of motor strength or can you do with something with slightly less muscle? Cost and budget are consistent factors in all this. No such thing as a free lunch. The more options on the blender, the more it is going to cost. The more the pitcher capacity (71 ounces, 72 ounces, etc.) the more it will cost; small increments. The latest blenders will be pricier than models that came before. Do not shop for Ninjas without understanding what you need from them. The best Ninjas for the money include the ones out of which you can squeeze the most practical value. The price will not really matter when you have found the one that is ‘just right’ for you. Because that that Ninja will have become an excellent investment in your health and continued well-being. We thought it best to provide you with some generalities and specifics pertaining to Ninja blenders. You will find all that you need to know here in our F.A.Q. section. If you still do not find what you want answered, call on your Ninja’s customer support (1-877-646-5288. Monday-Saturday 7 AM – 11 PM, EST and Sunday 9 AM – 8 PM, EST). 1. How are Ninja food processors different from ordinary or traditional food processors? It ups the horsepower game and brings you high levels of it compared to any other (pardon our using the word…) inferior food processor. The technology is such that you have three peak horsepower settings to work with. This means salsas, doughs, sauces, dips, smoothies, purees, and a whole lot more that could never be done before with the same speed and relative ease (i.e., efficiency). You need different speeds for different culinary tasks. Enter, patent pending precision speed control features on Ninjas with specialty engineered gear systems. Just talking about it is making us go giddy with excitement at the possibilities. 2. Will the blades one day decide to rust? We do not use the words ‘high quality’ lightly. Believe us when we say that high quality stainless steel is superior to its lesser counterparts (duh). The chopping blades and pitcher blades are both made from them, not merely coated with them. This is what makes them safe for use in dishwashers and, of course, rust-resistant. 3. I demand more recipes for my Ninja! I can’t get enough of this awesome blender. 4. How many ounces can the Nutri Ninja cup carry if the Nutri Ninja cup can carry ounces at all? We just played with words in that question. The answer is a full 16 ounces where capacity is concerned; for Nutri Ninja cups. 5. What is the warranty scenario on these Ninjas? The best Ninja blender models come carrying 1-year warranties while others show a nice 2-year stretch. 6. Here’s the thing… I have a Ninja with a 72 oz. (ounce) pitcher. How on earth do I close the pour spout on it? There is a built-in pressure release system for these pour spouts that grants them a super-tight seal. Never force this open (you already attempted that, didn’t you?). Find the solid black inner piece, and lift it up gently. Push down on the pour spout’s front and it will lock down. You will hear an audible sound as the spout snaps shut. 7. Oh my god! The noise! Make it stop! Why are the Ninja blenders so loud? There were times we asked that ourselves. The powerful motor is to blame. Several models boast 2 horsepower or 1500 watt motor potential, and a handful of other models enjoy something slightly less muscled. With a Ninja model like Ultima Kitchen System, for example, you have a whopping 3 horsepower motor. That loud noise is the roar of victory, my friend. Enjoy the evolution. 8. I keep reading ‘Dual Stage Blending’ when I come across several Ninja models. Care to explain? We mentioned Ninja’s patent pending gear system in one of the answers above. This feature is responsible for the Ninja’s high torque Total Crushing Technology as well as the super-speedy cyclonic blending in their signature jars that cannot be replicated by any other processor; not anytime soon anyway. All the ingredients are crushed and liquefied, granting you every ounce of nutrition in the blend; nothing is wasted. ‘Dual’, as in two sets of blades made to rotate at varying speeds. The motion makes quick work first of large or thick chunks in the ingredients pool, then the smaller ones. All in all, you get an ideally smooth smoothie. 9. 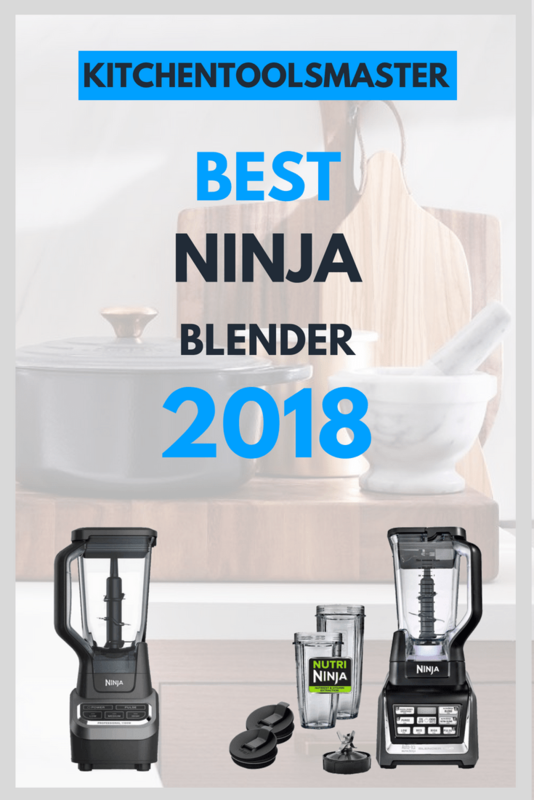 Is the Dual Stage Blending exclusive to the Ninja line of blenders? Or can I find them in traditional versions? Nope, you cannot find them in any other food processor. This makes them exclusive to the Ninjas. 10. Also, you mentioned ‘high speed cyclonic blending’. I need to know more. Regale me, if you please. Spinning high speed blades at an impressive 24,000 RPMs (rates per minute) encourages the breaking down of whole fruits and veggies and produces a blend with creamy consistency. This is possible thanks to the High Speed Cyclonic technology going into Ninja blenders large and small. 11. Sorry to be such a pedant, but tell me more about the ‘Total Crushing Technology’ you also mentioned. Spinning 4 stacked blades at the jaw-dropping speed of 5,000 RPMs (rates per minute) governs the blending process that transforms tough ingredients like ice, nuts, and frozen fruits into an even blend. This dream is made real thanks to the Total Crushing Technology integrated into Ninjas near and far. 12. To what use can I put the Nutri Ninja cups? I have a bunch of my own, and they look more presentable at times. If you have better-looking ones, sure, use them by all means. It’s just that Nutri Ninja cups come specifically designed to hold sauces, dips, smoothies, fruit juices, salad dressings, and so much more. They are also easier to clean and more durable. They contain no BPA plastics going into their make and they are dishwasher-safe. You can use the cup itself like the pitcher, and blend using the same horsepower to make smoothies-on-the-go. You can also fit them on most car cup holders. You can use the pulse feature too, when the cups are attached to the blender. 13. These super-awesome blades. What are they made of? In case you did not catch one of the answers earlier (about rust risk), these blades are made entirely of stainless steel. 14. Wait, let me stop drooling before I ask this next one… Can I make ice creams with a Ninja? Stop, you are making us drool. Of course you can make ice creams, and let’s not forget sorbets. Use the Ninja’s XL pitcher, add your favorite fruits and throw in a few dollops of ice cream. If you want yogurt smoothies, add milk and yogurt to some fruits in the pitcher. You will find recipes on the Ninja website. Yummy, ain’t it? 15. The power light. It just keeps blinking. Maddening, I tell you. How do I make the light stop blinking? If you are sat there expecting some fancy techno-power answer to this, there isn’t any. You have not assembled the Ninja properly, that’s the issue. The pitcher lid needs to be aligned right; lid arrow needs to line up with handle arrow. Press down on the handle until you hear that satisfying click. Another problem factor could be over-heating. Heavy loads (greedy, greedy) can put pressure on the motor, resulting in over-heating, and eventual motor shut-off; the light blinks too. Turn off the Ninja, plug it out of the wall socket, wait 15 minutes, and get back to it. Simplest advice: it’s time to read the user manual; honest, it contains better specifics. 16. Mmm, hot soup, I could use some of that right now. Can I make some in the Ninja? Sorry to burst your soupy bubble, but no, no, and again no. Heat and cold extremes can result in spider-web fractures or cracks on the blender jar material. While ice is good, freezer storage isn’t. Warm does not make for good soup but hot does. No hot stuff in the blender, please. 17. If I remove the top blades, will the Ninja still run? Quite the engineer, aren’t you. Well, some recipes call for only the fixed bottom blades, so you can work without the modular top blades if you want. 18. There is an electronic slow start? I did not know that. Come to think of it, I do not know what it does either. This feature controls blade speeds, meaning it gradually ramps up the selected setting. This leads to proper blending without ingredients flying all over the inside of the pitcher when it starts up; like something out of a horror movie [evil grin]. Imagine if hard ingredients like peanuts and seeds were to splatter the insides of the pitcher. It will keep ingredients from being fully incorporated into the blend. Chunks, seeds, nut bits, etc. might remain unblended. Rest easy, the electronic slow start feature makes everything better. 19. I know you said the Ninjas are dishwasher-safe. But, as embarrassing as it may sound, how exactly do I clean them quickly? Simple steps… 2-3 drops of dish soap in a jar, fill halfway with warm water (never hot), use the blender’s pulse technology and pulse 10 times. That’s a quick clean. As for the dishwasher, we are sure the dishwasher knows what to do. 21 . How do I clean the parts that do not go in the dishwasher? The motor base springs to mind. Use a damp cloth to clean the base. Give the following to the dishwasher: lids, cups, bowl, blades, and pitcher. Remember to place the lids, cups, and blades on the top rack. The blades are extremely sharp, needless to say caution while handling is strongly advised. 22. The Ninjas are made of BPA-free plastic, right? This means some of the parts are microwave-friendly, right? Correct on the BPA-free part, wrong on the microwave-friendly part. They are not safe for microwave use. 23. I want to buy some parts for my Ninja blender? Any commercial portal I can check out? Check out the official one before you leap on Amazon. Between the two, you will find what you seek. 24. If I have a couple of Ninjas at home, can I interchangeably use their parts? Nope, the parts that came on one Ninja cannot be used on the other. 25. What is the highest capacity a Ninja pitcher can work with? That will be 72 oz. (ounces) worth of ingredients. The maximum recommended liquid capacity is 64 oz. (ounces) for the bowl; if your model comes with one. 26. Is there a ‘right time’ to use the bottom blades on these Ninjas? If you want the best purees in the world for use in making sauces, soups (cool or room temperature, not warm or hot), and of course purees, the bottom blades are the tools for the task. 27. What sort of veggies and fruits can I drop into the blender? There isn’t really a ‘ban’ on any fruits or veggies, the Ninjas pulverize them all in equal measure. Throw in the fruits/veggies you need, play with delicious combos, and don’t forget that Ninjas can also blend stems, seeds, and cores (pips included) for added nutrition value. 28. The Ninja’s have Nutrient & Vitamin Extraction? I thought that was obvious. Not at first, it isn’t. Traditional blenders cannot merge some of the more nutrient-rich parts of fruits and veggies. The Ninjas can. This is what it means when they say they ‘extract’ it all into a super-healthy smoothie. Blends contain pulp, juices do not, and yet juices made using Ninjas contain the fiber content found otherwise in pulps. Plant nutrients, trace elements, minerals, vitamins, antioxidants, you name it, a Ninja can extract them all. 29. Can the Ninja wield frozen ingredients with as much aplomb as it does any other? While you do not put the pitcher in the freezer (big no-no), the blender can summon its Total Crushing blade technology to make short work of frozen ingredients in the blender jar. Use the pulse feature several times to get optimum consistency. 30. How do I use the different speed settings? That depends entirely on the recipe and function needed. Your best Ninja blender user manual or other reading resources that came with the package will have guidelines on how to use speed settings for that model; an overview. However, when using the cups, run the blender on single-serve setting. 31. Help! The blender refuses to turn on. Check if it is assembled properly. Check if it is plugged in; yes, you heard us right. The handle should be facing the front left or front right of the blender base. Do what needs doing until the power light is solidly on; no blinking. Sometimes, while using Nutri Ninja cups, the blender might turn off after thirty seconds. The Ninja’s built-in timer automatically shuts off after thirty seconds when using the continuous blend function with the cup attached. 32. The food processor bowl in some Ninja models come with two lids? Isn’t that overkill? These bowls come designed with a feed shoot lid and drizzle hole lid. When dough or chopping blades are used in the bowl, use the drizzle hole lid. You can stream ingredients through this hole while the processor is running. When disc attachments are used in the bowl, use the feed shoot lid. You can push food down through this hole using the two-part pusher. This is ideal for shredding, grating, and slicing tasks. 33. The blender is on but the blade does not rotate. I have no idea how this is even possible. It’s possible, if or when the pitcher or cup is over-filled. Turn the Ninja off, unplug it, remove some ingredients (eenie-meenie-miney-mo time) and continue. 34. I have assembled everything to perfection, the feed shoot lid and disc attachment included. I’m awesome, I know that now. BUT the power light is still blinking at me like it does not recognize my awesomeness. You are using the feed shoot lid. This means the lid has to be ideally locked into place. No big deal, simply push forward on the black lid lock tab; or the motor will not run. If the light is still confused, check to see if the disc attachment and bowl are properly assembled. You’re awesome, you can do it. Take your time exploring the diverse best price ninja professional blenders in the Ninja range. We assure you it will be worth your time. They each bring something special to your health blending requirements. Sometimes, cheaper is better, less powerful is great, and big things come in small packages. Be free while choosing, and take your time. That blender, and the result of the time spent searching for it, will serve you adequately for years to come, and you will never get bored of using it on a daily basis. That last point is crucial, because health and exercise need encouragement like lovers need each other. The best Ninja blenders are tools to help you craft personal success stories that will go on to inspire others you tell it to or who come to learn of it. As you can imagine, these things matter.